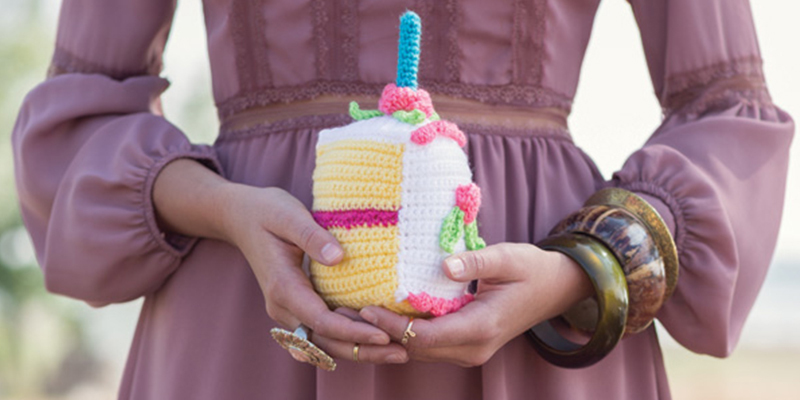 How are you celebrating National Crochet Month? I'm displaying some of my work at the Salisbury (Massachusetts) Public Library--pics to follow! 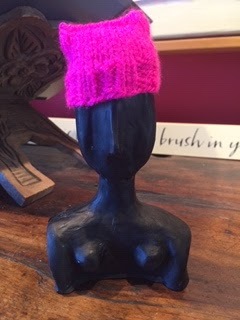 A special order for a friend--she designed and made the sculpture, and she asked me to knit a pink pussycat hat for it. I think I'll make another one for my Barbie doll. 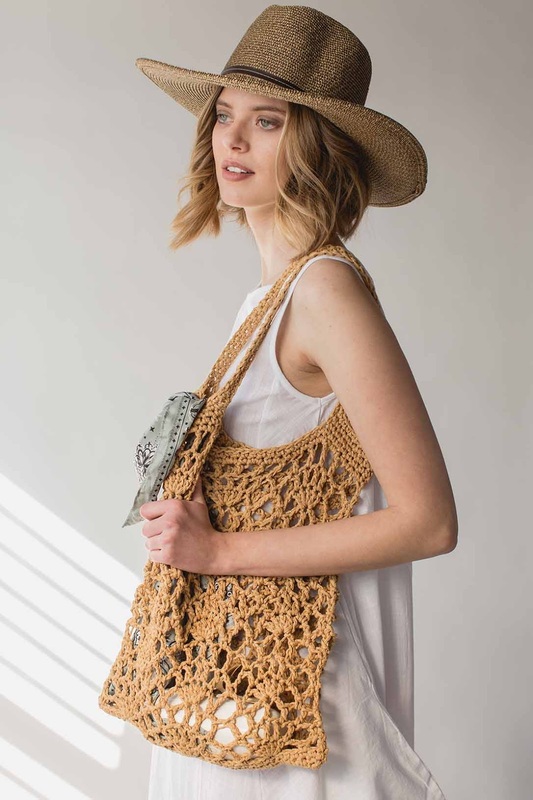 Out today--Interweave Crochet magazine summer issue. 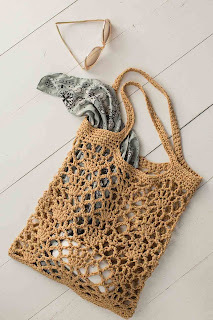 Check out my tote design, an airy lace pattern, crocheted in abaca fiber--perfect for the beach, or wherever! 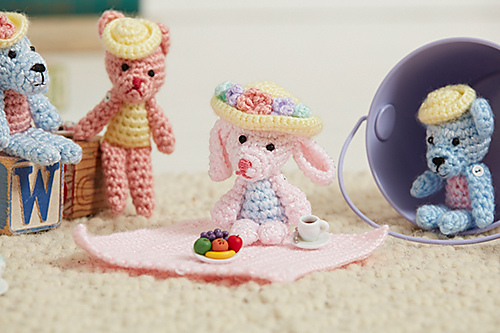 Here's my pattern from last spring's Love of Crochet magazine--just in time for Easter and springtime, it's still available from the magazine's store. I promise that you will love making these so much, you'll want to make all of them! The motifs are worked in the round, joining as you go, in a worsted weight yarn. I'm not satisfied with the big holes between the shapes, so I'm going to try it in a dk weight yarn, which would require more motifs, but make the spaces between the motifs smaller. I do like the way the colors flow in an organic way without looking like an obvious rainbow. It looks gorgeous laid out on a bed, hence the name "Garden Bed," a little pun. Interweave is featuring my "zero calorie" cake for the Craft Yarn Council's potluck. Check it out! I learned to crochet when I was 10. I still remember the acute shock I felt when I made my first doll, turned it over, and found it staring back at me. 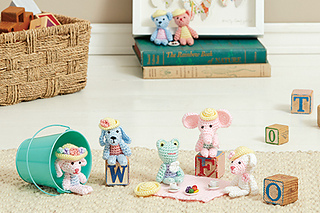 Each of my crocheted dolls has a life of its own and a unique story, never before revealed...until now. All contents copyright (c) Donna Childs. Simple theme. Theme images by Airyelf. Powered by Blogger.